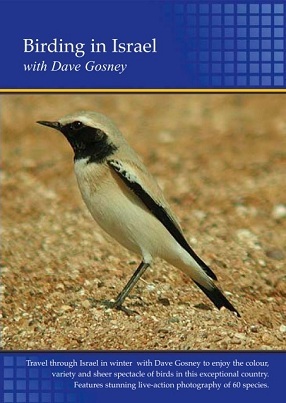 The latest in the Birding In series, Birding in Israel, follows Dave Gosney on an adventure-packed trip to the best birdwatching sites in Israel. Dave travelled throughout the country: from Eilat on the Red Sea in the south; through the Negev Desert in the west; past the oasis of En Gedi on the Dead Sea; right on up to Hula and Ma'agen Michael in the very north of Israel where birds occur in some of the most spectacular concentrations found anywhere in the Western Palearctic. Israel is an outstanding destination for birdwatchers, especially in November when the many exotic resident birds such as sunbirds, bee-eaters, Blackstarts, sandgrouse, bulbuls and babblers are joined by thousands of others such as warblers, gulls, pelicans, cranes and eagles, arriving for the winter.